An AutoCAD design resource for architectural, landscape, interior design professionals and students. New for 2019! AutoCAD electrical symbols library for commercial design projects. The ArchBlocks.com website was created because there needed to be higher quality block libraries available to architectural, interior, and landscape designers.The first library that I created was a furniture library, and now the website offers over 65 different AutoCAD products. 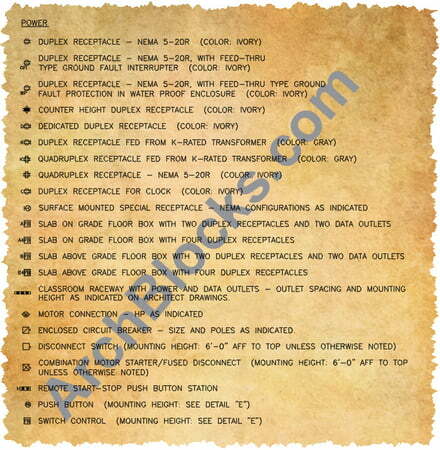 The ArchBlocks.com website grew and I wanted to offer more than just AutoCAD block symbols, and one of the first products I added were the 100+ Hatch Patterns developed by Watson Kilbourne of CompugraphX. This AutoCAD hatch library has over 350 hatch patterns, and Watson was very gracious to create a few custom architectural hatch patterns that are only available on the www.ArchBlocks.com website. In the spring of 2018, Watson decided to retire from running CompugraphX and inquired if I would be interested in purchasing the software licensing rights. In late spring I finalized the purchase of the 100+ Hatch Patterns licensing rights. This was a major investment for ArchBlocks, Inc. I am are very excited to have exclusive selling rights to this great set of AutoCAD hatch patterns. With my background in AutoCAD training and technical support, I also wanted to add free AutoCAD tutorials to the website as a bonus resource for my customers. In growing the website you will now find AutoCAD title blocks in Modelspace and Paperspace, architectural true type fonts. Be sure to check out our new AutoCAD blocks library for commercial electrical CAD projects. There are 155 new electrical CAD symbols including power, fire alarms, lighting, outlets, switches, service equipment, raceways, circuitry, telephone communication data, and abbreviations. This library is a great start to setting up your CAD symbols legend and abbreviations page. Don't draw these AutoCAD blocks from scratch, that is a massive waste of time! So, I give a very heartfelt "Thank you!" to all my customers. Download CAD blocks NOW! All products can be downloaded IMMEDIATELY! We are dedicated to being the best CAD resource for architectural, interior designers, landscape designers and student designers. 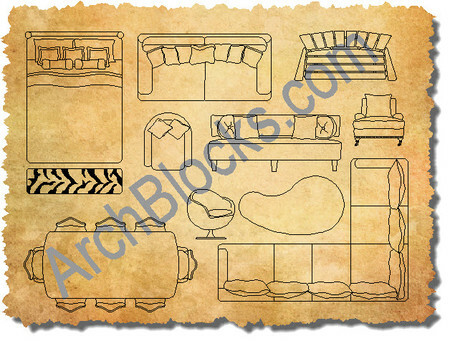 ArchBlocks.com provides an updated set of Architectural CAD Symbols for professional and student CAD designers. This is an extensive library of AutoCAD blocks that can be used to speed up your design process and make your AutoCAD drawings look more professional. We're not offering libraries for several different disciplines...we're only interested in the area of architectural design, and our libraries of Architectural Symbols is where our focus will remain. We are dedicated to being the best CAD designer's resource anywhere for architectural, interior design, and landscape design professionals! 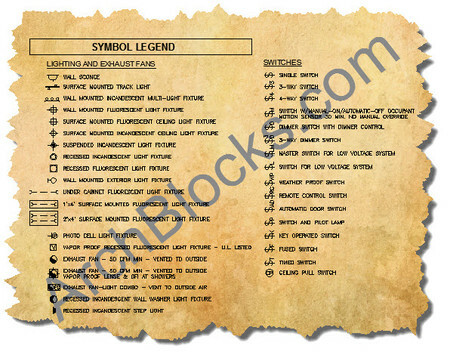 Be sure to check out our discounted ArchBlocks Students CAD Pack symbols library. Welcome to the ArchBlocks.com, a one-stop-shop for all your CAD design and architectural AutoCAD blocks needs. This website was developed by ArchBlocks, Inc to offer real-world designers access to the best resources for CAD blocks, CAD hatch patterns, CAD E-books, Architectural fonts, Starter AutoCAD Title Blocks, AutoCAD video tutorials, and AutoCAD tutorials. If you have any difficulties processing an international order, CONTACT US. The ArchBlocks Libraries CAD blocks can be downloaded anywhere in the world! Be sure to take a look at our AutoCAD blocks products page to see all the different options so you can start using these cool AutoCAD architectural blocks right away. 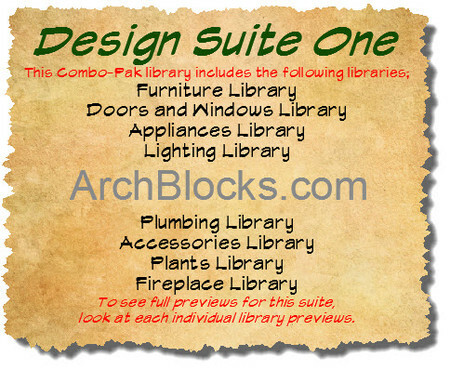 You can purchase parts of the Symbol, Title Blocks, and Furniture Cad Block library in modules. Or, you can buy the combo packs of libraries at a great savings. If you have any questions, comments, or suggestions about any of the ArchBlocks Products, or how to purchase them CONTACT US now! Visit ArchBlocks blog today for regular updates on AutoCAD Block Design News and Press Releases. Keep your AutoCAD Library current and have the best AutoCAD drawings around! Download a free set of CAD blocks by picking on the link above. All ArchBlocks.com AutoCAD symbol libraries are saved back to AutoCAD 2000, so they are compatible with all older versions of AutoCAD. They are also compatible with all AutoCAD for the MAC versions. Our AutoCAD Blocks, AutoCAD Title Blocks and AutoCAD Electrical Symbols are professionally designed to reflect the level of expertise you want and need in your AutoCAD drawings. No matter if you're searching for CAD People, CAD Tree Symbols, or CAD Furniture Blocks, ArchBlocks.com CAD libraries can provide you with high quality AutoCAD symbols to complete your professional AutoCAD drawings. You can search this website to view the entire line of ArchBlock's Products. Our AutoCAD symbols include CAD Doors & Window Blocks, Plumbing Fixtures Blocks, Furniture Blocks, Electrical Blocks, Appliances Blocks, Lighting Blocks, People Blocks, CAD Autos Blocks, AutoCAD hatch patterns and Title Blocks. You can also purchase and download right now any, or all of our AutoCAD blocks using our Buy Now feature. Please search through our How It Works and FAQ page to find out more about the ArchBlock's AutoCAD library. For more information on our company, visit About Us or Contact Us today for further assistance. Thank you for your interest in ArchBlocks.com. We look forward to serving all of your AutoCAD design needs.